Pine Island, Florida to be exact. Which just so happens to be the largest island in the state of Florida, coming in at 18 miles long and 2 miles wide. I know, I know… a little navigation issue seems like a small price to pay, but I promise you that if I had known about the drive (it takes an hour to get anywhere- much less off the island), and the traffic (during season when all the snowbirds are here, I swear it would be faster to walk) and the inability to navigate (sure you can get to that amazing barrier island by boat, but then what?!) I might have given pause to this whole island living concept. As petty as it may seem to you, this commuting issue has been a major pain in my daily lifestyle for the past 25 years, so I needed (no wanted!) to finally do something about it. 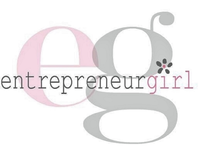 Not to mention the fact that the Entrepreneur Girl brand went International this year and I am doing some heavy travel in the States. I often drive to a mountain cabin or a quaint town with vintage homes and spend days writing content. The only break I get is to try to walk into town for dinner or to try and grab some fresh air outdoors, but most times the walk is too far, and I’m stuck in my clunky car once again. Golf Cart? Everyone on the island has one of these to explore the island and go to all the places an automobile can’t go. In fact, if you live on an island, it seems as if a golf cart is a must have necessity. I’m not sure how I survived this long without one… well, actually I do… have you seen the price tag of one of these? $5,000- $10,000! No, kidding! And I would have to have garage space to store it, too! All of that, and I can’t fold and store it in my car or on my boat to travel with. Automobile? I already have one of those, so couldn’t I make that work? Um, no. My car won’t go on my boat with me, so there wouldn’t be any exploring all those islands out there only accessible by boat- not to mention the many piers, nature walks, and off the beaten paths are only accessible by non-automobiles. Bicycle? This has been my solution to date, albeit not a very good one. I justified this craziness with the knowledge that I was getting the added benefit of exercise… but, have you ever tried to ride through sugar sand? Or up a hill? Or arrived at your destination sweaty and smelly? I loved that my bike could go with me places as I could place it on my boat and off I would go to bike ride the closest island. But eventually it became rusty, and it was bulky to take in my car or boat. But last summer, a company came to my attention… V&D Electric Bikes. And just like that, my life changed. I avoid the car traffic by taking the island paths. I zip to the local market, or go see the sunset, or fold the bike and place it on my boat for all my trips. Just last night I crashed the “Sunset Crew” (a group of people that meet to watch the sunset every night at the local marina) with my electric bike parked alongside their automobiles and golf carts. I couldn’t help but to feel a little smug… after all, the “crew” demanded trips on my new cool ride! They thought it so perfect that my electric bike matched my jeep colors (and my EG business branding colors) and complimented my active lifestyle. I’m certain that my island will have a new mode of transportation now! Want to see me surprise my family with the purchase and drive around my island?